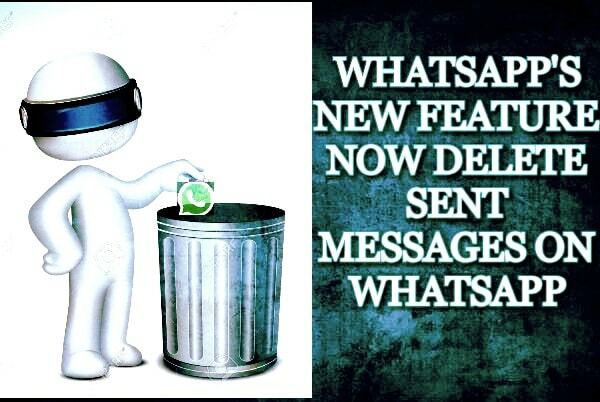 Recently WhatsApp has introduced a new feature which allows users to delete sent messages. Which means a user can delete messages that too if the reader has got the message and even if he has read it. So if you are sending a message to anyone and he/she reads but unfortunately you have misspelled it or the words used were not good, Don’t worry, now you can delete that. WhatsApp has been working to include all the latest features in their app and people has some demands/needs and one among them is to use two WhatsApp accounts in one android phone. But this feature is the highly demanded feature which WhatsApp has introduced in its latest version of WhatsApp. Because most people misspell words or even sometimes auto prediction include strange words to the sentences and the whole meaning changes. But we send that without seeing the typed message and after it’s sent we send a new with asterisk sign to show the previous sentence was not right. Is there any limitation to this “WhatsApp delete sent messages” feature? Yes, there are some limitations of this feature. You can delete a sent message and even if the receiver has read it but within 7 minutes prior to the receiver has received it. Which means if you will delete the message within 7 minutes after you have sent it, It will be deleted and receiver will no longer read that again. But if you will not delete it within the 7 minutes after you have sent that message then you will no longer be able to delete it. In other words, You will delete it by your end/from your WhatsApp but the receiver will still have access to read it as it is stored permanently on the server and hence receiver can read it any time. However, the server will not store your messages permanently till the time period of 7 minutes. In “WhatsApp delete sent messages” feature, Will receiver be able to know that the message has been deleted by the sender? Yes, Receiver will get a message with the invalid sign , in which it will be written that the message has been deleted by the sender. So the receiver may ask you what was the last message you sent me and then deleted it. However, there was also a major problem reported from India that WhatsApp was down for some time. Users were not able to send and receive messages over WhatsApp. This issue was first tweeted by a twitter user, He asked whether my WhatsApp is only down/not working. But people responded to his tweet by saying no, We all are facing the same problem. This may be due to the addition of this new feature. However, the reason behind this problem was not revealed until the last information we got. 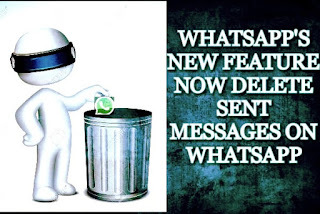 How to get “WhatsApp delete sent messages” feature in your WhatsApp. To get this latest feature so that you can delete sent messages, You need to update your WhatsApp to the attest version. For that, you need to open the play store from your Android device and search for WhatsApp. Now click on it and click on update. Now it will take some time to update your app(depending upon your internet speed). After your app is updated to the latest version, You can delete sent messages on WhatsApp even if the user has read it. Besides all that, there are many other hidden features of WhatsApp but available only in Gb WhatsApp and you can download GbWhatsApp v 6.40 from here. So if you found this post interesting/useful share it with your friends and don’t wait to check out this feature.